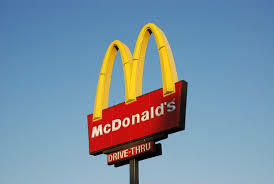 A secondary school in Greystones has taken legal action over the location of the McDonald’s restaurant in the town. The board of management of Temple Carrig secondary school, one of three in the area, have brought the case before the courts after their appeal to An Board Pleanála failed. The school is claiming that the fast food giant has purposely located the restaurant at Blacklion Neighbourhood Centre because it is close to three schools which cater for an estimated 1,500 pupils. It was claimed in court today that An Board Pleanála were wrong to give permission for the restaurant because approval for the restaurant fails to take account of national policy concerning the health of children and to reduce childhood obesity. Mr Justice Richard Humphrey’s granted leave for judicial review of the September 30th 2015 decision by the board for the development, which also comprises of a a health and fitness studio and a commercial unit. Wicklow County Council had previously granted planning permission for the development but the school and others appealed to An BordPleanála. However, their appeal was unsuccessful and they granted planning permission subject to 11 conditions. Jarlath Fitzsimons SC, told the court that his clients believed that the board ‘failed to heed the mandatory requirement to have regard to relevant government policies, including the Healthy Ireland Strategy 2013 and the National Policy Framework for Children and Young People 2014. Such policies represent a “high priority government objective’. It was also claimed that the board failed to take into account healthy eating policies because Wicklow County Council’s Local Area Development Plan guidelines had not incorporated healthy eating policies.